The traditional French verjuice (green grape wine vinegar) gives this halibut recipe a bright, fruity flavour. Kibbled onions are dried and chopped and add a sweetness that fresh onions lack. 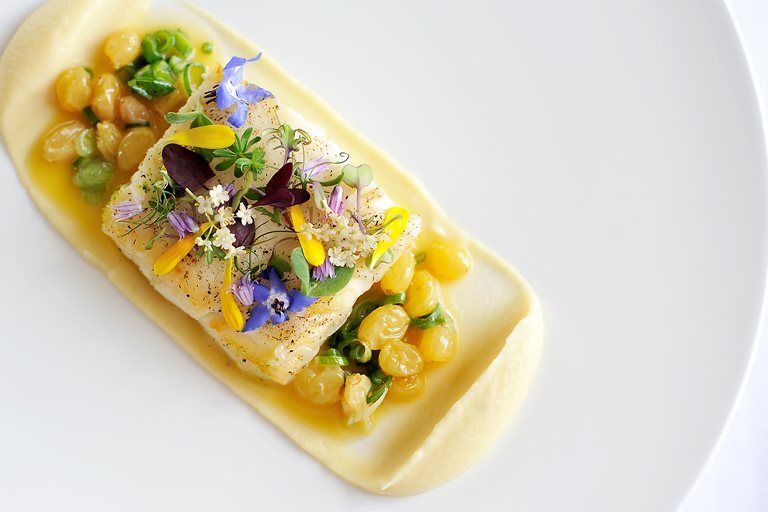 This is a gorgeous seafood recipe from Simon Hulstone, particularly when garnished with organic, edible flowers as in this photo.